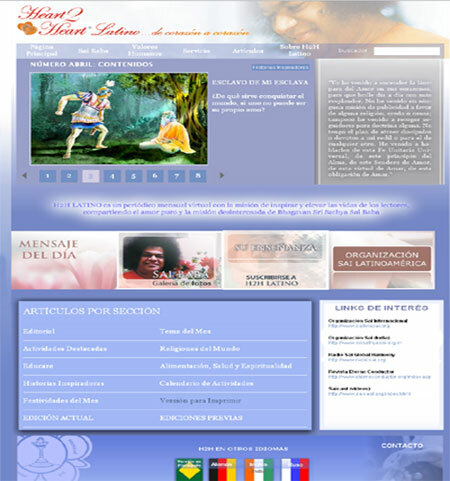 With the divine blessings of Bhagavan Baba, we are pleased to announce the launch of our e-journal Heart2Heart in Spanish! It is being maintained by a group of selfless Sai workers under the leadership of Mr. Leonardo Gutter. There is a link to this site on the homepage of H2H’s website h2hsai.org too. Thank you and Sai Ram from Prashanti Nilayam.